The South Pacific may not be the first destination to come to mind when considering a hunting trip, but New Zealand and Australia both offer outstanding hunting opportunities and are great outdoor adventure destinations for hunters and their families. New Zealand is famous for its mountain game, especially Himalayan tahr and chamois, as well as for large and impressive red stags, along with a variety of other game. All of New Zealand’s game animals were imported by settlers a century ago but have established healthy populations in suitable habitat. Likewise, Australia’s most sought-after game animals, water buffalo and banteng, were transplanted to the continent decades ago but have established large wild populations in the country’s sparsely populated northern and western regions. Australia also has numerous species of deer, including sambar, fallow, red, hog, and rusa deer, and the deer hunting is excellent in many areas. 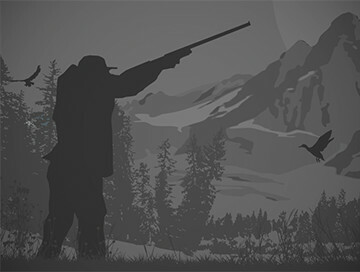 Rabbits, feral hogs, and other introduced mammals are frequently hunted as well. New Zealand and Australia are beautiful, scenic countries and excellent family destinations where hiking, fishing, sightseeing, wine-tasting, and many other activities can be added on to a hunting trip. “Kiwis” and “Aussies” are some of the friendliest people you’ll meet, and tourism in both countries is very well organized and enjoyable. Hunting with family is what most hunters enjoy about their hunting the most. This trip is tailored for 2 Family members being that Father/Son or Daughter or Mother/Daughter or Son. 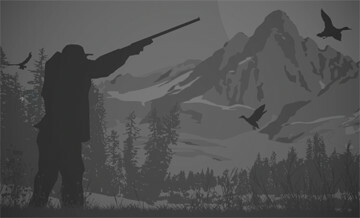 Spending 2 nights and 3 days hunting free range animals on a high country private station for red deer, goats, or pigs. Price includes 1 Red deer meat animal (non- trophy) and 1 Goat (non- trophy). Extra animals including pigs, goats, and stags available at extra cost on request. Available all year round. Please inquire for available dates. We are located along the South East Coast of South Australia. Roughly 40ks North of Kingston SE South Australia on Watervalley Game Reserve. This is a management hunt With 3 home cooked meals a day, light refreshments, accommodation, day rate, concession fee, and trophy preparation all included in the daily rate fee.